Are Finances Automatically Frozen When The Divorce Is Filed? When a divorce proceeding is ongoing, state laws protect each party’s property, both separate and joint, and these laws come into play at the start of the divorce process. For example, Automatic Restraining Orders, or ARO (ATRO if it is temporary), makes it so that spouses can only use the money in their bank for specified necessities. In addition, it blocks the individual’s ability to drastically move around or waste money in not only bank accounts, but other assets as well. It will not physically freeze a bank account, but rather it a court order that, if violated, can lead to severe consequences in both the divorce trial and beyond. There are situations in which the freezing of a bank account is the best and most necessary action in order to protect one party’s financial interests. You must file the correct motion with the court, in which you request an order that will actually freeze the bank account. However, please note that this motion must precisely detail the reasons why you think the bank account funds are potentially at risk if such a motion to freeze is not ordered. The party that requests the freezing of the bank account is also responsible for presenting compelling evidence to the court that gives validity to your plea. This is part of detailing why you are requesting the freeze. This compelling evidence must demonstrate that without the freeze on the account, the opposing party is most likely to waste and mismanage the funds in said account in a way that will negatively impact you. This does not always have to be conducted in a hearing before a judge, as you and your spouse can enter a shared, written agreement to freeze the account. However, without this, the court will indeed conduct a hearing on the motion and rule based on evidence. 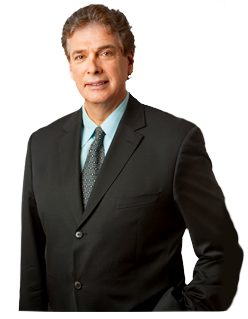 If you have more questions about your divorce or any matter related to family law, call Paul E. Rudder, Esq. at (212) 826-9900 for a consultation.